The Portus Project, comprising the Soprintendenza Speciale per i Beni Archeologici di Roma, the British School at Rome and the University of Southampton, has commissioned Franco Mapelli to give a visual interpretation of the Archaeological Park of the Trajanic Port. This exhibition is made up of 30 large-scale photographs through which the photographer focuses on the relationship between archaeological remains and nature. 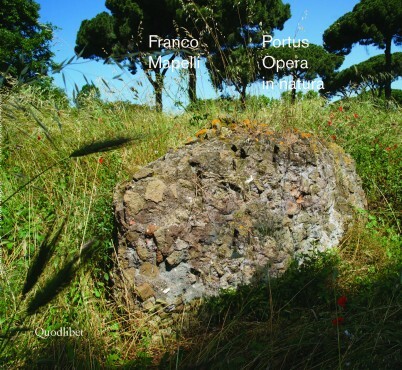 The catalogue, published by Quodlibet, shows that Portus is not only a fascinating archaeological site, but also a place of extraordinary natural beauty. The exhibition will take place at the British School at Rome with the opening on Monday 3rd February 2014, 18:30. From then on it will be open Monday to Saturday 16.30 – 19.00, until the 15th February. Learn more about this exhibition on the British School at Rome’s website and on the British School at Rome blog. One Response to "Portus: Opera in natura"